The Tibia stem retails for $650. $650 is a lot of money. That’s rent in certain parts of the country or a round-trip ticket to some place exotic. It’s also the sticker price of the new THM Tibia stem, which weighs an incredible 78g (100mm). The unique stem bolt configuration allows THM to produce the incredibly light Tibia. What’s remarkable about this component isn’t the price or the weight, it’s the engineering. To make a stem this light perform, the German brand had to rethink the mounting hardware. Rather than threading a bolt through the faceplate, THM flipped the design. 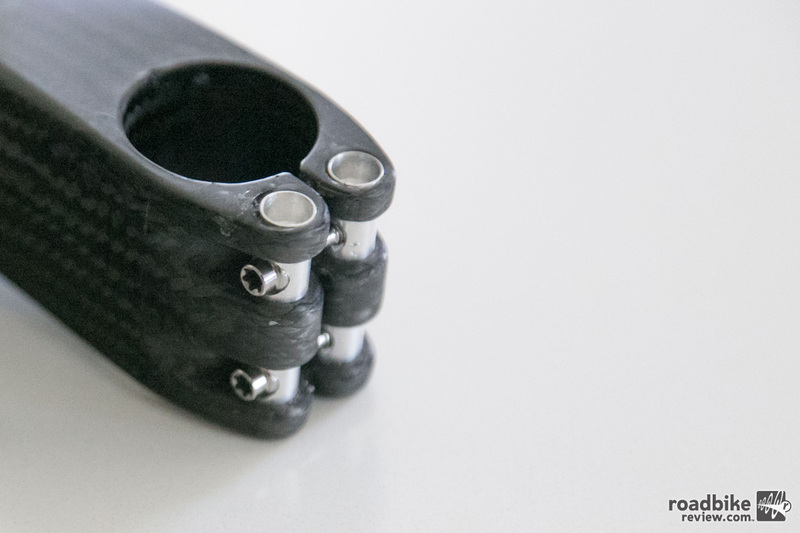 The bolts are attached to the stem body via a pivot and you thread a nut in through the faceplate.This allows the bolts to flex as the faceplate is clamped down, which enables them to shift around to reduce stress. This system allows THM to use lighter hardware, without having to rely on bonded inserts. The Tibia uses a combination of Ti and aluminum hardware. A similar system is employed at the rear of the stem. Except in this scenario, the bolts thread into cylinders that allow the hardware to rotate. The 100mm stem pictured here is slated to ship in July, while the 80, 100, and 120mm versions will be available this September. With a claimed weight of 120g per pair, the Fibula is the lightest rim brake on the market. 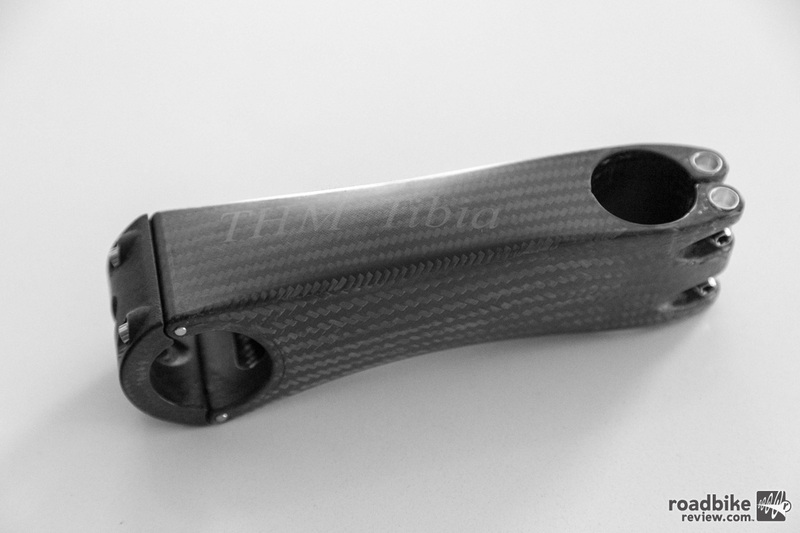 THM also has a new version of the Fibula rim brake available. The big update here is the return spring. Previously, they used steel, but that metal bit has been replaced with carbon goodness. 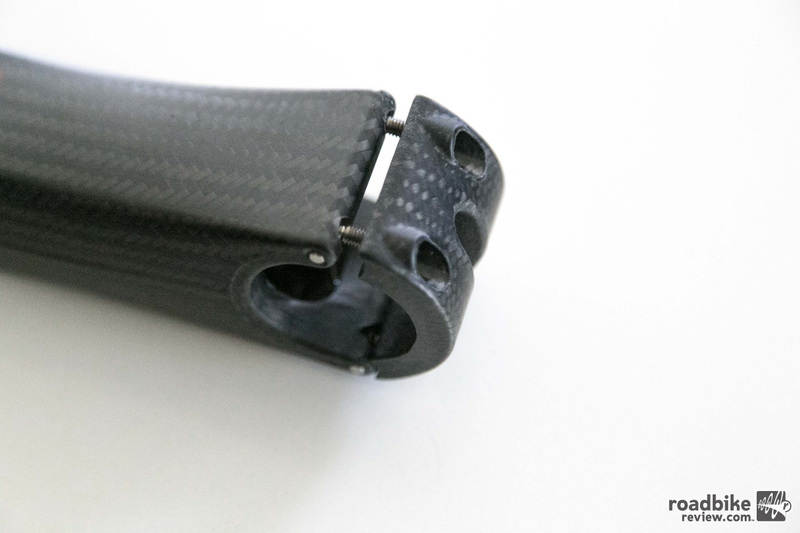 The updated Fibula uses a carbon return spring to reduce weight. The max recommended rider weight is 243 lb (110 kg). 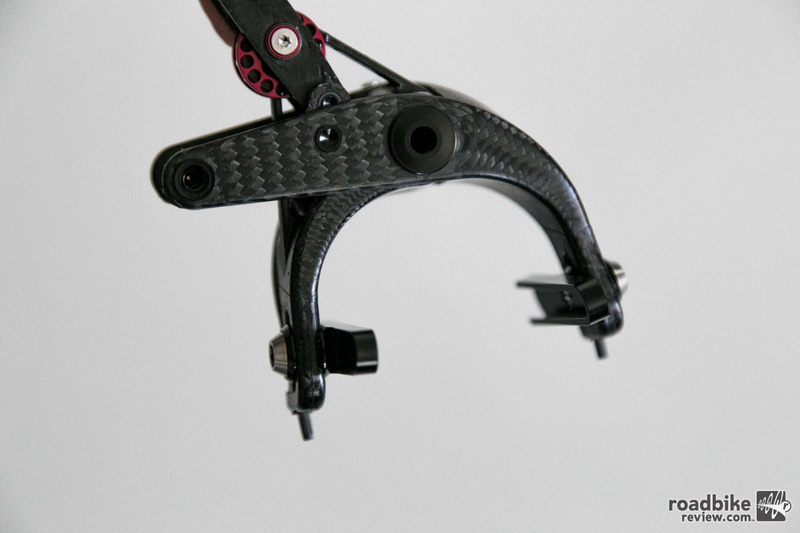 The updated brake has a claimed weight of 120g for the pair (61g front/59g rear). 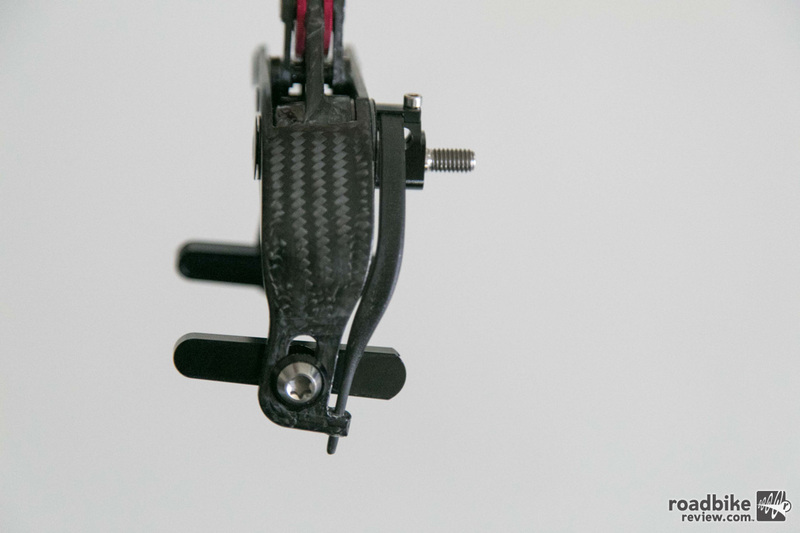 The pull ratio has been optimized for Shimano, SRAM, and Campagnolo levers. An adjustable cam allows the brake to clear a 19-30mm width rim, which THM claims makes it ideal for up to a 28mm tire. If you have to ask how much these cost, they’re not for you (but the real answer is 1008,20 Euro, which is around $1,150 USD). For more info, visit www.thm.bike. What's the best stem length for you?